Have you received a speeding ticket recently and feel as though the average cost of a speeding ticket seems a bit steep? Or maybe you're just nervous about getting a ticket, and you'd like to know how much to expect to pay if you ever get stopped for speeding. The following guide will cover not only the average cost of a speeding ticket itself, but also the overall cost that you will incur when you receive a ticket for a speeding violation. The simple truth is that no matter how you cut it, a speeding ticket is going to cost you. Not only will you have to write a check to the Department of Motor Vehicles for your fine, but the ticket could also impact your budget in ways that you don't even realize. 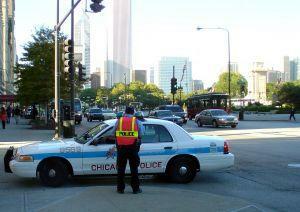 The most significant immediate expense from receiving a ticket is paying the fine. However, the average cost of a speeding ticket includes the tremendous increase of your insurance premiums, which could average up to $2,000 to $4,000 a year. In the case of teenagers, speeding tickets could make driving a vehicle completely unaffordable. It is no secret that the first shocking expense you'll see when you are handed that summons is the line that reveals the fine. Most people assume there's a mistake. This is because most states continue increasing traffic violation fines every few years. Additionally, fines increase exponentially depending on the degree of the violation. Here are some examples from the State of Maine in 2009. When you add a school or construction zone into the mix, the fines are significantly higher. Traveling 15 to 19 mph over the limit in a school zone will cost you $360.00. In almost every situation, traveling more than 29 mph over the speed limit is considered "criminal speeding," and you could face a fine of over $500 and jail time. Most other states follow the same general pricing structure - although some states have somewhat lower fines, and others have higher. The thing to remember is that as speed increases, your fines will increase dramatically. With most insurance companies, if you have an excellent driving record and you've received a single ticket, you may not see an increase in your insurance premium. This is because, in order to attract customers, more insurance companies offer a "ticket forgiveness" program to reward good drivers. If you have only one record in the system in the space of a few years, it's almost like that ticket doesn't exist, and you still receive the best rates. However, if you receive a second or third ticket or you get stopped and arrested for criminal speeding, all bets are off. For multiple tickets, you could see car insurance increases of a few hundred dollars a year. However, for serious speeding violations, like criminal speeding, your car insurance premiums will increase so much (into the thousands) that your initial fine will only amount to a fraction of the overall average cost of that speeding ticket. In addition to the financial cost of getting a speeding ticket, there's also the issue of livelihood. You need to drive to get to work, to visit family, and to enjoy a certain degree of freedom. Could you imagine your life without a driving license? Many people who have been arrested for drunk driving deal with that reality every day. If you get caught for speeding multiple times in a row, you could rack up so many points on your license (if your state uses a point system) that eventually you could have your license suspended for a month or more. When you are arrested for criminal speeding, you also face the same penalty. However, one way to improve your point level is by taking a driving class. Whether you have a salary job or you work hourly, few people have the time to head over to the courthouse for an entire morning. In the case of most minor speeding violations, you may never have to go to court if you simply plead guilty and pay your fine. If you want to plead not guilty, you will have to find a way to get to court. In the case of more serious charges, such as criminal speeding, you will receive a court date and must attend in person no matter what. So, an additional cost of a speeding ticket is obviously the inconvenience and lost time of having to enter into the legal system and defend yourself. When you take every cost of speeding into account, whether financial or otherwise, it's obvious that the financial impact of receiving a speeding ticket is astronomical. All of these costs are reason enough to keep your foot off the gas and always adhere to the posted speed limit. Speeding just isn't worth it.